Chapter 10 looks at current dietary advice for the UK, USA and Australia. The amount of carbohydrate that we are telling humans to consume is enormous and unprecedented in human history. 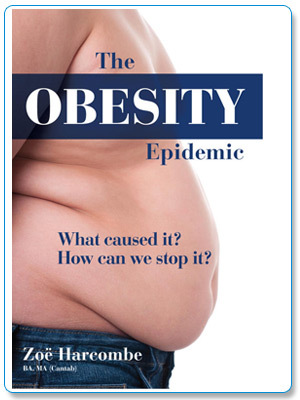 The Australian advice is particularly extraordinary and Australians have a growing obesity crisis. We know that we did a U-turn in our dietary advice. We know why – because we wrongly decided that fat was bad and so people need to eat something and it was decided that this should be carbohydrate, The obvious question to ask then is: did we follow the advice when it changed? If we changed advice, but everyone ignored it, it would be difficult to blame the change in advice for the obesity epidemic. Using the UK as a study over the period from 1974-1999, when adult obesity increased from 2.7% for UK men and women to c. 25% by the end of the millennium, Chapter 10 looks at what exactly the UK is eating. It is fascinating to see which foods we are eating massively less of and which we are eating massively more of and the clear culprits for the obesity epidemic become obvious.